This is a rectangular Jersey Ice Cream porcelain sign. This particular Jersey Ice Cream sign is white with blue print. 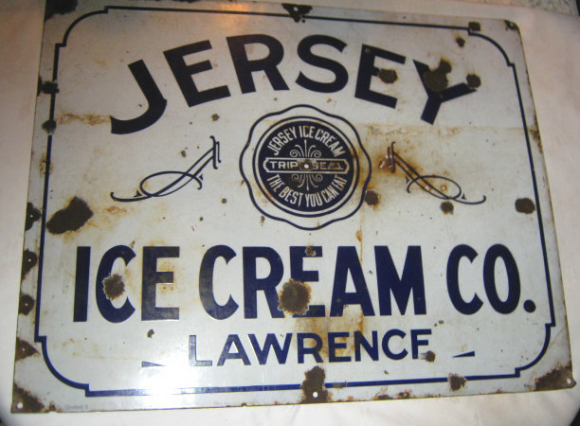 It reads, “Jersey Ice Cream Co., Lawrence, Jersey Ice Cream, The Best You Can Eat, Triple Seal” and features a decorative line border.